It was May 2012 and I had a death in the family. This necessitates being in church for a lot of time which I normally spend just being “there,” not really useful and not able to leave because that’s a big no-no. Part of Christian funeral “traditions” is the family of the deceased getting flower arrangements that will be put on the grave once the funeral and the burial are done. If the deceased is part of a bigger establishment, they get a flower arrangement from there as well. If the deceased was active politically or have politically active offspring, they get a flower arrangement from their corresponding politician of choice. And sometimes, there are flower arrangements which leave you baffled as to who that person is. As I said, it was May 2012 and as I screened the flowers, I noticed a name that didn’t seem familiar to me: Sandrella Merhej. I asked around and almost no one knew who she was – until I ran into a staunch FPM supporter who said the main attorney was on Fayez Karam’s treason case. The key difference between December and May 2012 is that the arrangement which everyone found odd and strange back then now made sense. She wasn’t a stranger anymore – she had become a household name. She didn’t use social media. She didn’t inundate everyone with ads. It only involved a bouquet. Sandrella Merhej had actively kickstarted an electoral campaign with her doing absolutely nothing. She doesn’t have to be present at the funeral as many other politicians do. I bet she doesn’t even know who the people who died are. Odds are she has some sort of deal with a local florist to send an arrangement to every single funeral in the whole district. As a result, very few are those across Batroun today who don’t know who Sandrella Merhej is. They have no idea where she stands on some key issues. They probably don’t know yet where she stands politically. But she’s in a much better place, reputation-wise, than where Gebran Bassil and Antoine Zahra were in 2005, when they were both running for the first time. People love it when politicians, or politician-wannabes in Sandrella Merhej’s case, acknowledge their sadness during funerals. It makes them feel relevant and actually gets them to think that politician truly cares about their strife and that he – or she – are not just there for electoral purposes. I personally couldn’t care less if a politician attends a funeral of a person I cherish or not. But I’m the exception. 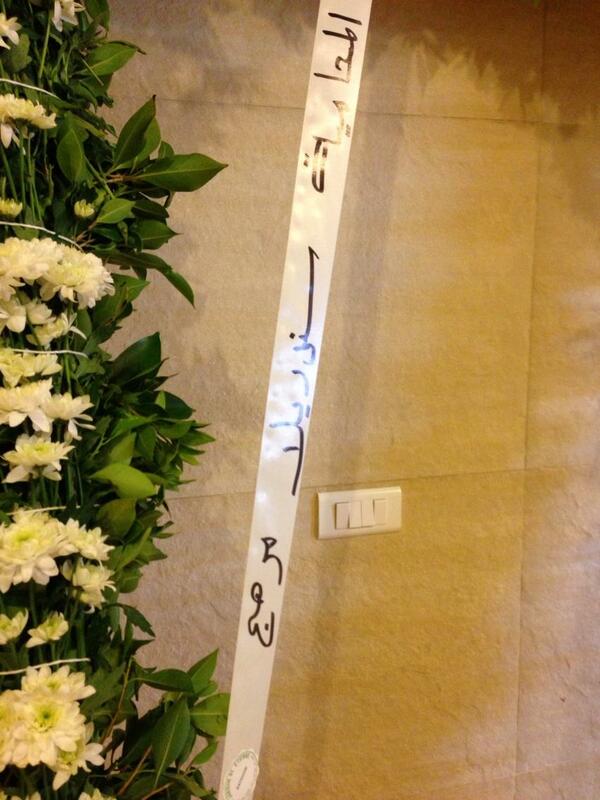 In fact, many people in Batroun hold it against Antoine Zahra that he doesn’t do funerals. Many won’t be voting for him precisely because of that. I find it sad that voting – or not voting for someone – revolves around them making the time to attend something they’re not even supposed to attend when there are so many other things that could stop them from voting for a politician. Today, Sandrella Merhej’s name is a frontrunner to be on the FPM ticket with Gebran Bassil. She fits the bill – she comes from one of Batroun’s towns at a higher altitude – the poor thing has to go against Boutros Harb. A lot of people now know who she is. And by the looks of it, she is a staunch FPM member. A three in one combo? Apparently so. Of course, her nomination is not set in stone. There are other names being jumped around but out of them all, she might be the most interesting: a newcomer, who was relatively unknown less than a few months ago. Now everyone knows her name. Whether she will win or not, however, is an entirely different story. Entre nous, the chance of her ticket winning in my district is dismal at best – almost nonexistent actually. Carrie Underwood’s new single, off her platinum selling album Blown Away and as a follow up to one of 2012’s biggest country hits Blown Away, is Two Black Cadillacs, a song which sets an ominous tone the moment the first note strikes. Two black Cadillacs driving in a slow parade. Headlights shining bright in the middle of the day. One’s for his wife, the other for the woman who loved him at night, Underwood sings as a dramatic melody plays in the background. She immediately throws us into the setting of a funeral where a preacher man is saying the man being buried was a good man and his brother says he was a good friend. But the two women in the black veils have a secret to hide. The story could very well serve to make a movie drama and Underwood delivers it effortlessly in a few minutes. Two months ago his wife found the number on his phone, turns out he’d been lying to both of them for far too long. They decided then he’d never get away with doing this to them, Underwood lets the plot thicken. The women, taking turns in lying a rose down on the coffin and throwing dirt into the deep ground, also have a secret to hide. So they share a crimson smile and leave their secret with the man they killed, at the grave, to die with them. Two Black Cadillacs is a hauntingly dark song by Underwood that serves as a one-two punch by the country star as she delivers her album’s most critically acclaimed tracks as back to back singles. The darkness with which her tone delivers this song would make you think she’s lived these events herself but it’s only telling of the caliber that Underwood has turned into as a performer. As she sings “bye bye” to signal the women biding farewell to the man who betrayed them both, you can feel her voice pierce through. Two Black Cadillacs is a song where the musicians playing couldn’t stop after it was done so they kept playing and playing. Part of them jamming is found on the album track and will probably be cut with the radio edit. The song goes fifty shades deep and is Underwood’s darkest and most thought-provoking single release to date. From the haunting thumping melody that is reminiscent of a funeral march to the rich and multi-layered storytelling lyrics, Carrie Underwood delivers. Releasing a “softer” song may have been a safer bet. But Underwood is here to let her detractors know that Blown Away was just a storm warning. Bye bye, bye bye.